Let me get this on the record right away: I hate the preseason. I hate everything about it. I hate that all of us can’t wait for it, because it signals the beginning of the season. I hate that we then use that anticipation to answer the questions we’ve been asking all offseason. I hate that the preseason always never provides any of those answers. Thus, I hate the preseason for getting us excited or angry over stuff that will have no impact on the regular season. I hate that the teams make no effort to have the preseason mean anything. They don’t play their key players, and they don’t game plan for opponents. I hate that the majority of players in the preseason are players who will never actually play in a meaningful NFL game. I hate that some of those players who actually look good usually get cut anyway because, after all , who did they look good against? I hate that the preseason is just a money grab by the owners and a TV time filler. I hate it, hate it, hate it. OK, glad I got that off my chest. I feel better now. So, are you ready for the Bills vs. Vikings in the preseason opener at New Era Field? The Sean McDermott era begins with the new Bills head coach saying his starters will play around one quarter. I doubt the main stars (McCoy, Watkins, Kyle Williams) will even play that much. The real benefits of this game come for the young players and rookies. It will be their first chance to suit up and play in an official NFL game, even if it’s not their first time in New Era Field. No starters play more than one quarter. Tyrod Taylor throw the ball over the middle. Sammy Watkins catch a 5 yard out, run out of bounds, and stay on the sidelines for the rest of the night. LeSean McCoy wear a hat and not a helmet. 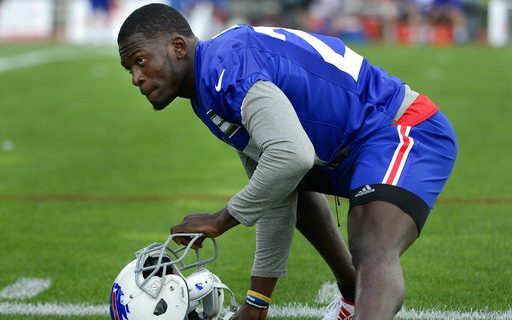 Tre’Davious White look like he’ll belong as a starter. Tight End Logan Thomas give me hope that he can be a weapon. Defensive end Eddie Yarborough continue his good camp, and get a sack. If I see most of this, I won’t be such a preseason hater. Stay with Buffalo Sports Page for our postgame reactions and observations. I agree, and would add one more…to see Zay Jones catch a TD or otherwise look like he belongs also!